Microsoft is looking at a new approach to regain its position in the market. In doing so it will use a diverse approach with an eye on the tablet market. Breza looks for Microsoft to gain 15% of the tablet market by 2014. Currently they only have a 1% share of the market. He believes they will achieve this due to a base of 1.2 billion along with the enterprise support that Microsoft offers. 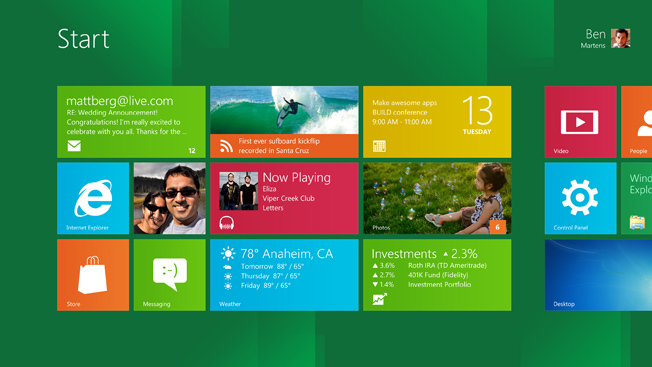 Breza writes, “Microsoft is pushing hard, but is coming from behind given iPad’s dominance and Android’s early lead to market.” He believes that Windows 8 may help Microsoft regain their position in the post PC era and could be a catalyst for driving Microsoft’s stock if investors feel that the company has a new vision with new leadership.